Kate Middleton may have made headlines as the hottest commoner to become a member of England’s royal family, but all over the world, there are other beautiful crowned women who go largely unacknowledged. Style, poise and impeccable taste in the fashion set these ladies apart — jewels or no jewels on their heads. Princess Sirivannavari of Thailand was ranked among the 20 hottest royals by Forbes in 2009. Raised in the UK with her mother, she now resides in Thailand with her father and grandfather, the King. At 30 years old, she is an art and sports enthusiast who is an active participant in the world of high fashion. Tunku Myra is the princess of Malaysia and the royal daughter of Besar Kecil of Negeri. She has been married to her husband Iskandar Jaafar-Greaves for 10 years. She owns an events management company and is popular among the ranks of high society. Mary of Denmark is the wife of Prince Frederick, who is first in line to the nation’s throne. An Australian native, Mary met her husband in a Sydney pub, and became the original “fairytale” romance, before Kate Middleton. 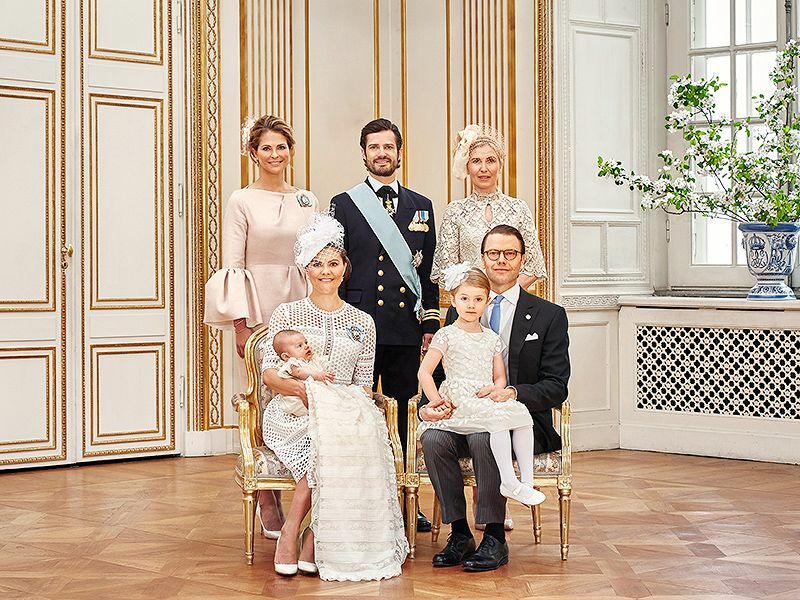 The royal couple now has four children together. 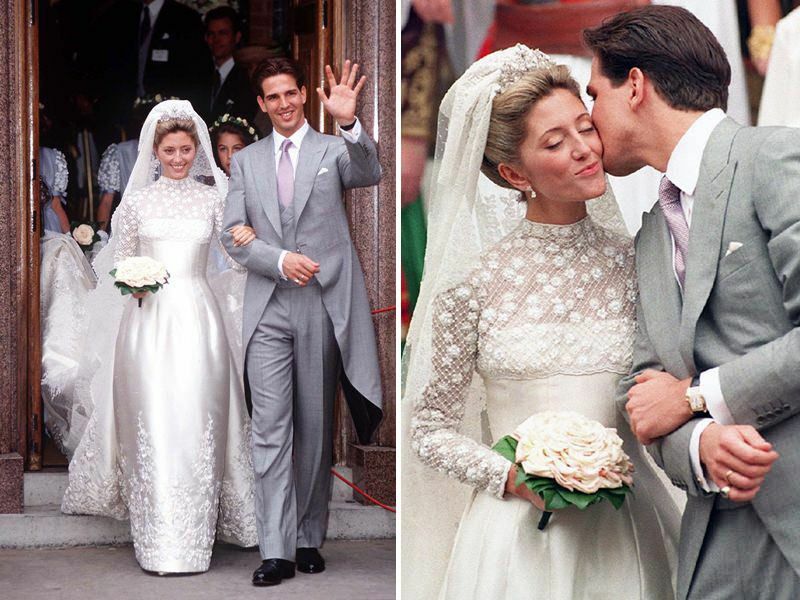 In 2003, Princess Claire married Prince Laurent and they now have three children. She is the sister-in-law of Philippe, King of Belgium. Prior to her marriage she was a land-surveyor and didn’t live in Belgium until she was three years old. She is mostly seen attending charity events for environmental cause and animal welfare, as well as events hosted by the British Ambassador to Belgium. Zara Tindall is the second oldest grandchild of Queen Elizabeth and is married to an ex-England rugby player, Mike Tindall. She is a British equestrian and won a silver medal at the 2012 London Olympics for event riding. She is 17th in line to the throne. Manohara Olivia is a controversial royal figure. Once an Indonesian model, she married Malaysian Prince Tengku Fakhry in 2008. Her mother claimed that he abducted the new princess. She was only 16 at the time of their marriage. Manohara reported abuse during the marriage and escaped to Indonesia in 2009, spurning all gifts and grand gestures from the Prince attempting to win her back. Sheikha Moza bint Nasser is one of three wives who are married to the Sheikh Hamad bin Khalifa. She holds a BA in Sociology and was awarded as an honorary Doctor of Humane Letters from Virginia Commonwealth University. She has many foreign honors and is the chosen wife who represents her husband at international events and conventions. Princess Sonam of Bhutan has a degree from Stanford University and a Masters in Law from Harvard. She is the daughter of the fourth King of Bhutan and has been married to Dasho Phub W. Dorji since 2009. She is a major political player and the current President of the Bhutan National Legal Institute. Marie-Chantal is the current Crown Princess of Greece, although she is a London native. She is married to Pavlos, son of the deposed King Constantine, and converted to Greek Orthodoxy so they could be wed. Pavlos is the heir apparent to the defunct throne of Greece (the country no longer has a monarchy) and is also a Danish prince. In 2000, Marie-Chantal founded and still directs, her own children’s clothing line. Queen Jetsun Pema is also known as the “dragon queen” of Bhutan, and the wife of King Jigme Khesar Namgyel Wangchuck. To Asian nations, Jetsun is a fashion icon who combines traditional style clothing with vibrant colors and design. The royal couple had their first child in February 2016. Charlene of Monaco is a former Olympic swimmer and married her husband in July of 2011. The wedding day did not go as smoothly as expected though. Following the wedding, it was discovered that Charlene had attempted to call off the wedding and runaway three separate times prior to the ceremony. Despite this, the couple is still currently married and appear to be happier. She currently serves as a Special Olympics Ambassador and is a style icon in high society. The couple has two children and heirs to the throne of Monaco, Jacques, and Gabriella. Elisabeth von Thurn und Taxis is a member of the royal German house Thurn und Taxis. She is a German journalist who lives in London and works as style editor for Vogue. She also writes a column for the Vatican’s magazine, mainly focused on faith and values. In 2015 she caused a firestorm of controversy after posting an Instagram of a homeless person reading Vogue, saying, “…there are readers everywhere!” which was criticized as being cruel and tasteless. Princess Charlotte Casiraghi is eighth in line to the throne of Monaco. Her maternal grandmother was the former Princess of Monaco, Grace Kelly, and is named after her paternal grandmother, the Duchess of Valentinos. She keeps her personal life fairly private, although her romantic life is discussed heavily in public. She had a son out of wedlock with actor Gad Elmaleh in 2013, however, the two have since split. It’s rumored that the cause of the split was Gad’s busy schedule and his apparent lack of desire to spend time with Charlotte and their son. Theodora is a Princess of Greece and Denmark since she is a descendant of Danish royal ancestry and Greek ancestry. She is a working actress with an extensive filmography, operating under the stage name Theodora Greece. She currently resides in Los Angeles, California. Máxima of the Netherlands is the first Queen consort since the year 1890. She is married to King Willem-Alexander, and they have three daughters together. She is also the first Queen consort to not only have been a commoner but to have been born outside of Europe (in Argentina). Princess Madeleine of Sweden is also known as the Duchess of Hälsingland and Gästrikland. She was born as third in line to the Swedish throne but has since become sixth in line after the birth of three nieces and nephews. She is regarded as one of the world’s top beauties and is a philanthropist who focuses on raising awareness surrounding child abuse. For as stunning as she is though, she’s had her fair share of heartbreak. 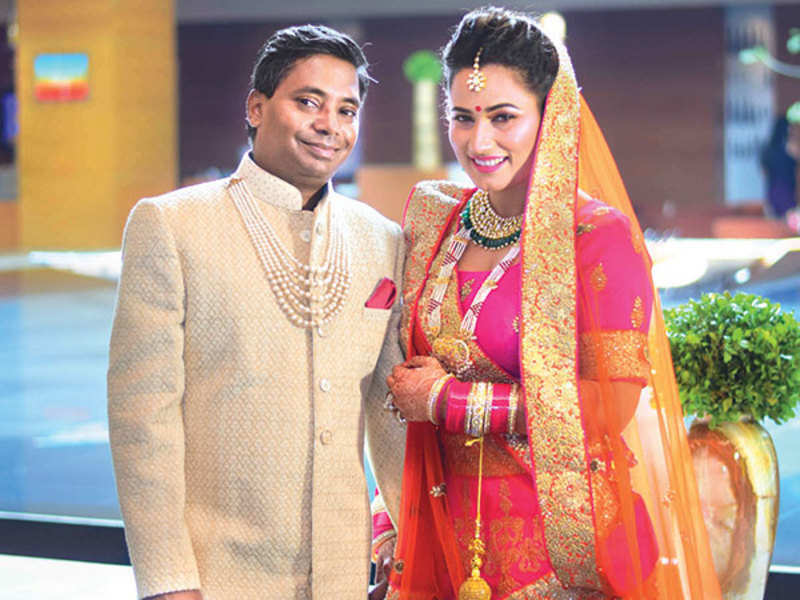 In 2011 her wedding was called off after it was revealed her former fiance-to-be had an affair with a 21-year-old during their engagement. Madeleine has since found her Prince Charming though and married in 2013. Haya bint Hussein is the junior wife of Sheikh Mohammed bin Rashid and is known as the Princess of Jordan. She graduated from Oxford University and is the two-term President of the International Federation of Equestrian Sports. She has two children with the Sheikh. 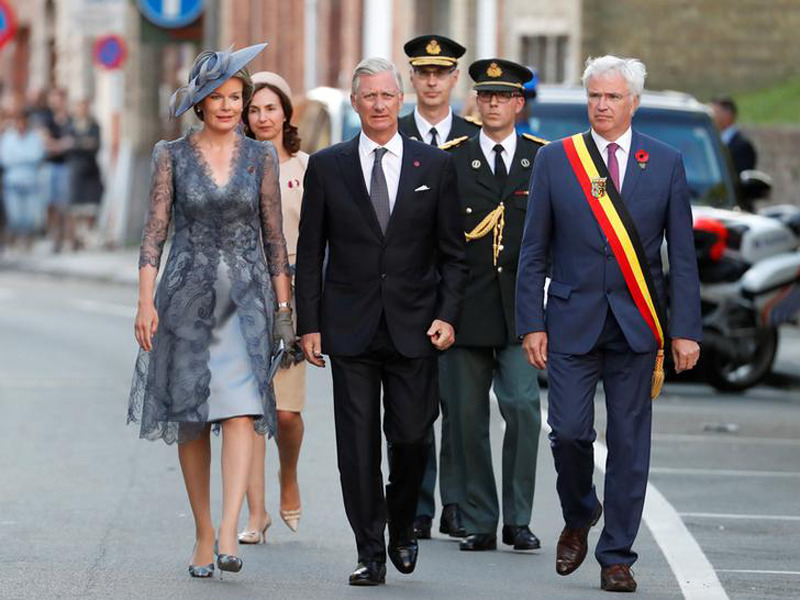 Queen Mathilde of Belgium is married to King Phillipe and is the first Belgian-born queen who is a member of nobility by birth. She speaks four languages (Dutch, French, Italian, and English) and holds a Masters Degree in Psychology. She serves as a Special Representative for the World Health Organization and is the Honorary President of UNICEF Belgium. Keisha Omilana is the Princess of Nigeria and wife of Prince Kunle Omilana. She is a model and philanthropist but takes pride in being a businesswoman first and foremost. She has one child with her husband, a son named Diran King. Princess Tatiana of Greece and Denmark is the wife of Prince Nikolaos and sister-in-law of Princess Theodora. She has a BA degree in sociology from Georgetown University and used to work for Diane Von Furstenberg as an event planner. She resigned her position in 2010 to focus on living the royal lifestyle. 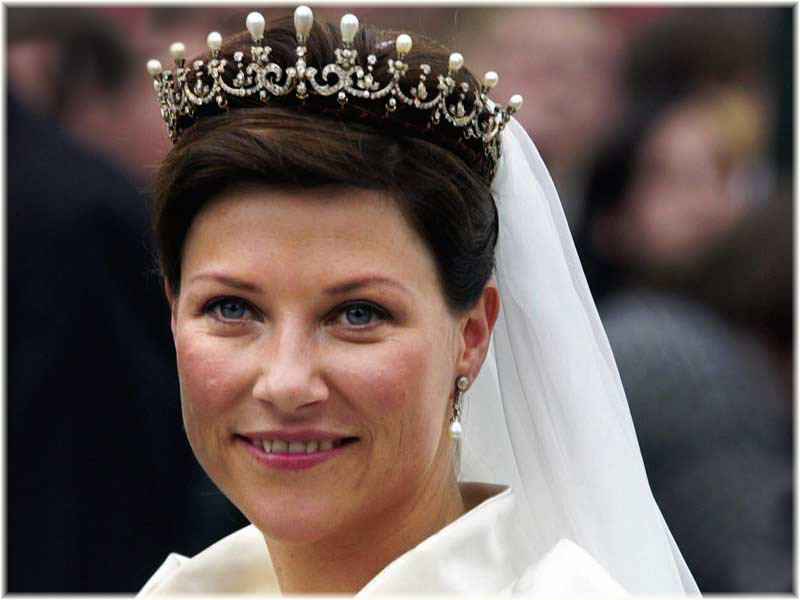 Princess Märtha Louise of Norway is the fourth in line to succeed the Norwegian throne, after her brother Haakon (heir apparent) and his two children. She is a certified physiotherapist but has chosen to open her own entertainment business as opposed to practicing physiotherapy. She founded a charity, Her Royal Highness Princess Märtha Louise’s Fund, that assists disabled children under the age of 16. Princess Ameerah of Saudi Arabia has a degree in Business Administration from the University in New Haven. She was previously married to Prince Alwaleed al-Taweel, a man who was almost 30 years her senior, and they divorced in 2013. She is an active humanitarian and strives for women’s rights in the Middle East. She wishes to become one of the first women to drive on Saudi roads. Princess Lalla Salma of Morroco is the wife of King Mohammed, and the first female Moroccan ruler to be given a royal title publicly. She has two children with her husband and is also honored as the Dame Grand Cross in Belgium, Spain, and Senegal. She founded a cancer prevention association and is actively involved with HIV and AIDS prevention in Africa. Originally born as a Countess, Grand Duchess Stephanie received a new title upon her marriage to Duke Guillaume, the heir to the Luxembourg throne. She is also the Princess of Nassau, as well as Parma. She is fluent in German, English, and French, but can also speak a little Russian, as she studied in Moscow for a short time. Princess Tamara is of Polish and Spanish ancestry, and although royalty, works as a sportswoman and model. She has appeared on many television programs, including reality TV shows that include Cirque de Celebrity and Australian Princess. On her father’s side, she belongs to a noble family from Poland before World War I and is the descendant of Kings from Spain and France. Princess Masako of Japan is a member of the Imperial House of Japan through her marriage to the Crown Prince, Naruhito. Once her husband ascends to the throne, she will become the Empress Consort to the nation. After the birth of the royal couple’s daughter, plans to change the law prohibiting a female heir from claiming the throne have been widely debated. The birth of her nephew has thwarted this possibility, temporarily. Princess Fathima Kulsum is reportedly the highest educated female in the Saudi Arabian royal family. Married to Sheikh Awadi, she maintains a fairly low profile and receives little to no coverage concerning her personal and professional affairs. She is said to be devoted to the Islamic religion, but remains an advocate for women’s rights and wishes to see progress in her country’s potential transition to equality. The former Crown Princess of Nepal, Himani Shah, is married to the ousted Crown Prince, Paras, since 2000. They have three children together, but will never ascend to the nation’s throne. She is now a social worker, taking part in social welfare activities, although she is still a Royal member of the House of Shah. Nandi Zulu’s 2002 marriage to tribe leader Mtirara was meant to bring together two tribes of different cultures and traditions. The tribal Princess stayed married to Mtirara for just two years, eventually running away from the arranged marriage. Princess Nandi has been missing for eight years, but her husband still claims that she is his wife. Nelson Mandela attended the upscale wedding and ultimately supported the marital merger. Lady Gabriella Windsor is the daughter of Prince and Princess Michael of Kent and works as a writer. She has two educational degrees, in Comparative Literature and Social Anthropology. Her great-grandparents were the late King George V and Queen Mary. She is currently dating rugby star Tom Kingston. Who can deny the timeless beauty of Princess Diana? No one, that’s who! The Princess was married to Prince Charles until 1996 and suffered a fatal car crash that would change the world forever in 1997. She is still remembered and commemorated by the royal family and the public who loved her so much. Grace Kelly, late Princess of Monaco, was one of the most iconic women in human history. She turned Crown Princess from beautiful movie star after her marriage to Prince Rainier the 3rd in 1956. The actress died of a stroke in 1982, while behind the wheel of her car with her daughter in the passenger seat. Her husband never remarried and was buried next to her after his death in 2005. Kendra Spears is now known as Princess Salwa Aga Khan since her 2013 marriage to Prince Rahim Aga Khan, whose father is currently the 49th Imam of Nizari Ismailism. But before the Princess was given her title, the Seattle native had already forged a successful career as a fashion model. Princess Hafizah is one of 12 children to Hassanal Bolkiah, the current Sultan of Brunei and one of the wealthiest royals in the world. Brunei is located on the northern coast of Borneo in the South China Sea and is one of the smallest nations that still have a monarchy. If Kate Middleton came to fame around the ’80s and ’90s, then Princess Caroline would have given her a run for her money. Caroline belongs to the famous Monaco royal family as the first-born daughter of the late Grace Kelly and Rainer III, Prince of Monaco. She was heir to the throne for just over a year until her brother, Prince Albert II was born. She regained official princess status in her third marriage to Ernst August, Prince of Hanover. No, this is not Lady Gaga (although Jazmin does bear a striking resemblance to her in this photo). Jazmin Grace Grimaldi is the first-born daughter of Prince Albert II of Monaco and therefore is Prince Caroline’s niece and Grace Kelly’s granddaughter. However, she is considered an illegitimate child in the eyes of the Monaco monarchy, since she was born out of wedlock. As a result, she is not the heir apparent to the Monegasque throne, even though she is Prince Albert’s first-born. Still, she respects and admires her father, who acknowledged in 2006 that he is indeed her father and who is also protective of her. The picture above is from a feature in Harper’s Bazaar, in which Jazmin spoke about her royal roots. Another member of the Princely House of Grimaldi is Pauline Ducruet, whose mother is Princess Stéphanie, the youngest child of Prince Rainier III and Grace Kelly. She holds no royal title but is 12th in the line of succession to the Monegasque throne. She is also a competitive diver who represented Monaco at the World Junior Diving Championships in 2010. Like Tatiana, Beatrice married into the Monaco royal family as well. Beatrice Borromeo is the wife of Pierre Casiraghi, Princess Caroline’s youngest son and seventh in the line of succession to the Monegasque throne. But without that connection, she is also a member of the ancient aristocratic House of Borromeo, a wealthy merchant family with roots in ancient Italy. Her father, Don Carlo Ferdinando Borromeo is also the Count of Arona. Born Lisa Najeeb Halaby in Washington, D.C. in 1951, she became the Queen of Jordan in 1978 when she married the then-King of Jordan, Hussein bin Talal. Although she was considered an outsider by the country of Jordan at first, she was accepted after the citizens have seen her charitable contributions to the country as the Queen consort, a position she held until 1999. Queen ‘Masenate is the Queen consort of King Lestie III. Together, they reign over the country of Lesotho in Southern Africa. As Queen, she is heavily involved in charity work which includes helping and giving a public voice to People with Disabilities and HIV/AIDS patients in her community. Sophie Winkleman is known as Lady Frederick Windsor, the wife of Lord Frederick Windsor, who is 46th in a line of succession to the British Throne and 8th in line to the Dukedom of Kent. Before her marriage, she already made a name for herself as an English actress boasting acting credits such as The Chronicles of Narnia, CSI: Miami, and Two and a Half Men.